R1969, Hale. 20-28, M. Short and bright. 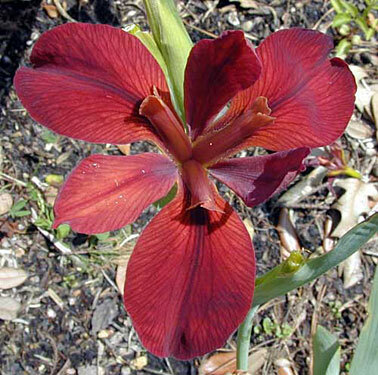 Grows 20 inches tall or a bit more and is a vivid red self with a velvet sheen on the falls. No visible signal. Breeding involves Dorothea K. Williamson and fulva over three generations. This is another old, open and short iris that will contrast with modern hybrids. The color has not been surpassed.